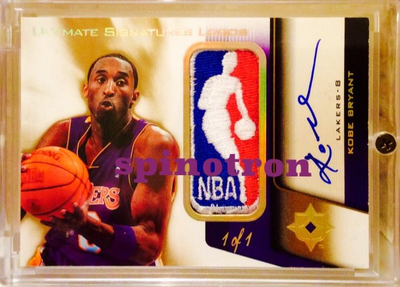 Welcome to Spinoton's Kobe PC. 03-04 Exquisite pure base rainbow. 80/225 and 24/25 (current jersey number). This 98-99 super rave /25 used to be a super tough card due to its mythological 'valyrian steel' rareness due to 98-99 lockout season, astronomical odds to hit, non-differentiating look and rumored few insertion into packs and destroy of unsold boxes after hobby market plunge post MJ retirement. My copy was the first one showed up on eBay ever and a couple of years before this brand being faked by certain sellers (without perfection). Card investors will sigh about loss of value this way. 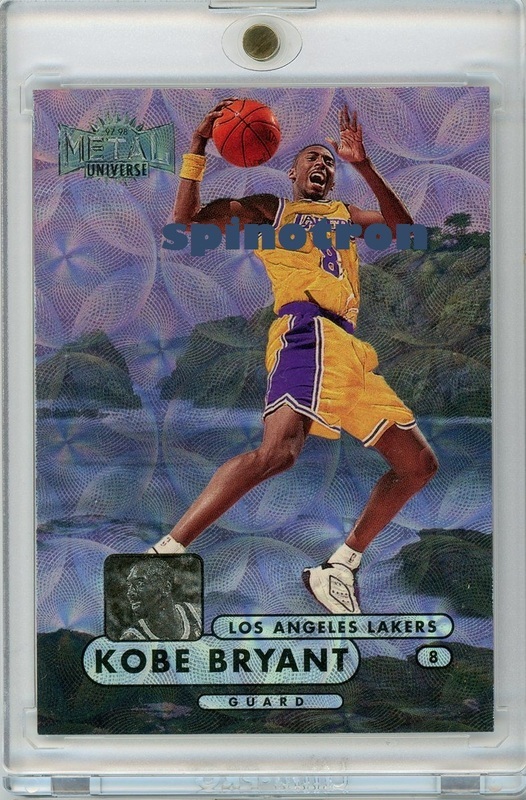 But to a true collector like me, I am very grateful to have obtained this legit copy much earlier because it would be difficult now to trace back the history of a card even if it is perfectly legit looking and even if my own interest to obtain it was still unaffected by the reckless faking. It remains a special card to me and embodies all it represents. 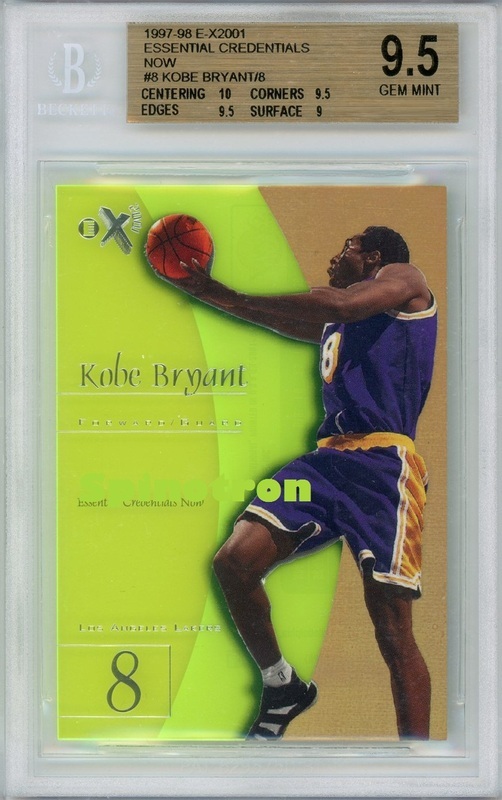 Kobe 03-04 Exquisite EE 1/25 and 8/75. 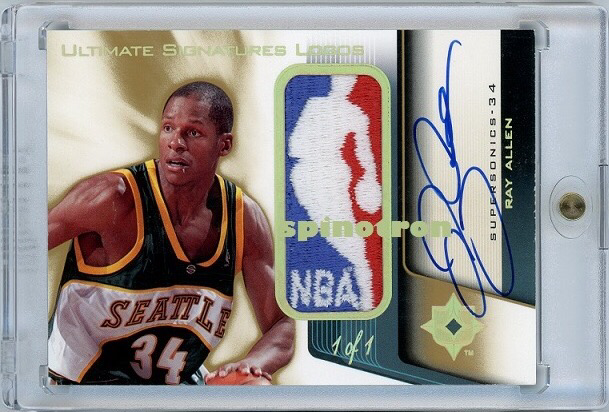 My first true jersey number in 03-04 Exquisite release and this release was hoarded and priced at an insane level at one time. Would be nice to add a 09-10 Exq Dual Patch /15 some day. 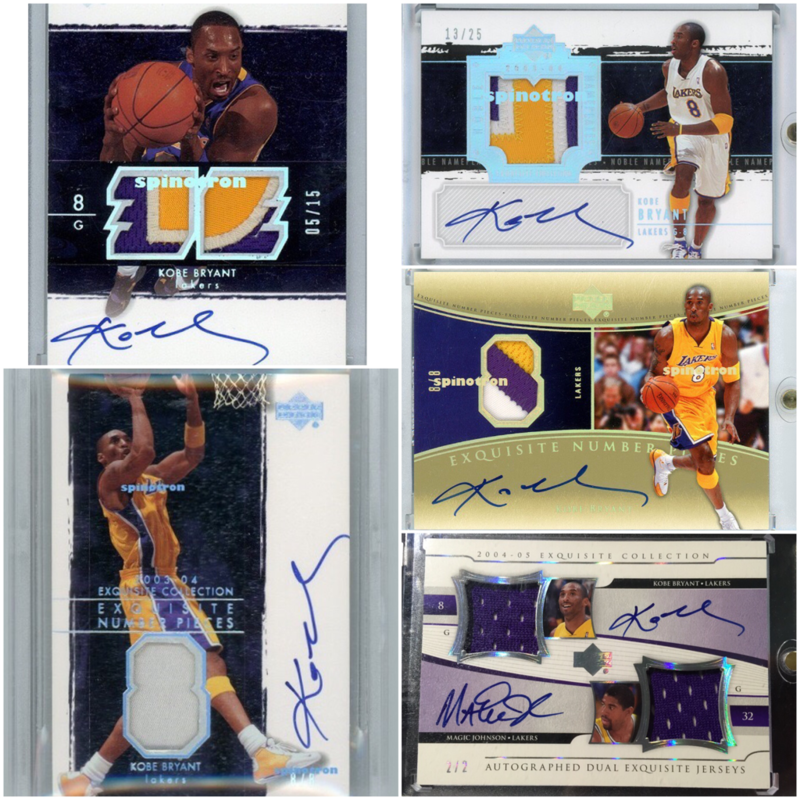 I will showcase 24 Kobe autos in groups before Kobe's Philly hometown game. This features inscription auto. All numbers are special numbers, first last or jersey. 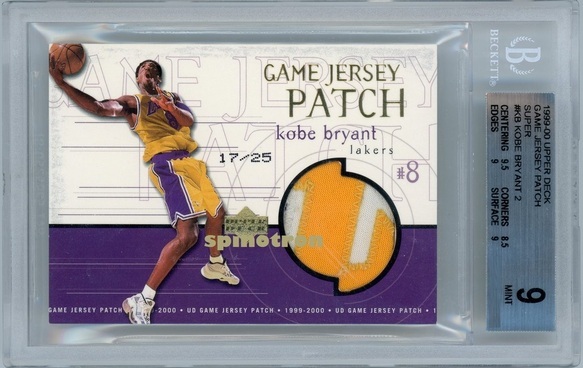 Pic was the announcement game where Kobe went clutch again and almost had a chance to even up. 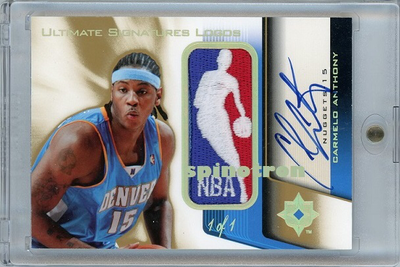 Some nice auto's from non high end releases but nice design nonetheless. 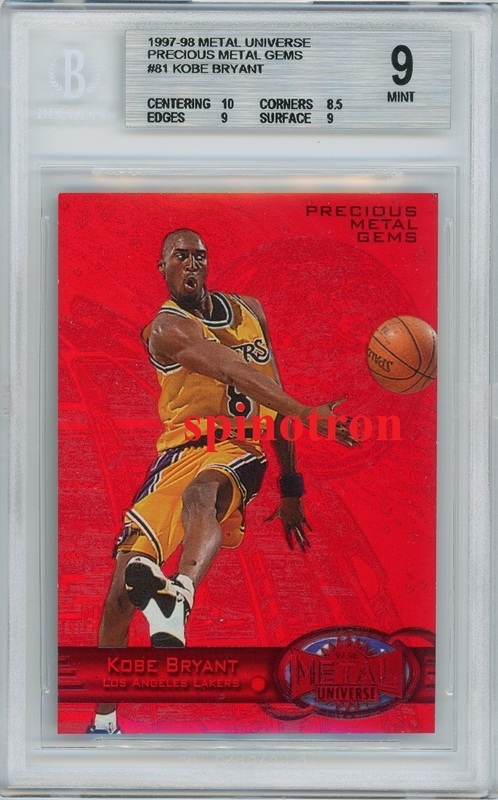 First two year Silhouette, first year Prizm and Select, and first Kobe numbered red ink. 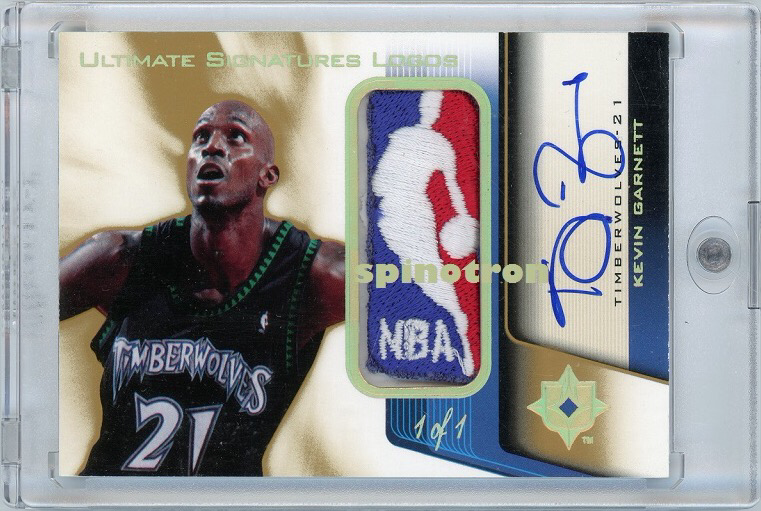 The next group is Immaculate auto. All special number, old and new jersey number or last number. Premium patch first two years, and all stars and championship tribute. This time I strived for correction orientation. Exquisite goodness. Top left corner was the only chance for sale in last 5 years and I grabbed it. 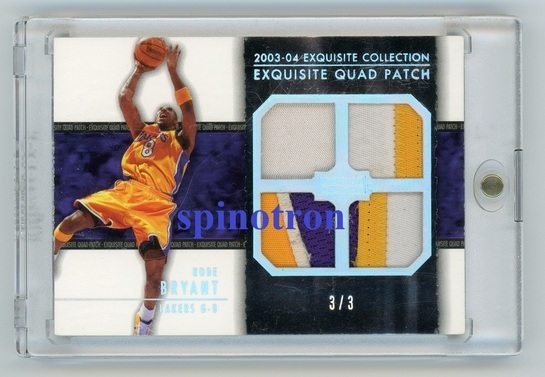 NN /25 was won during watch Kobe vs LeBron at Staples. 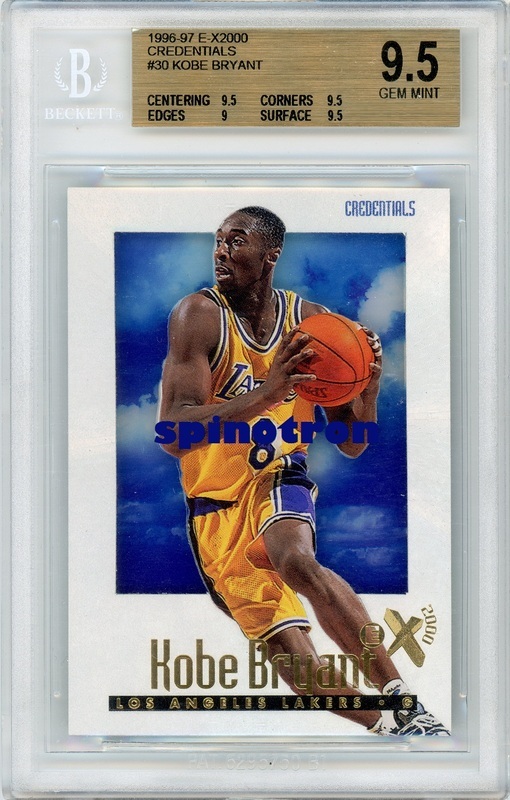 Kobe's rarest non-1/1 Exquisite auto in dual with Magic 2/2, and only two NP /8, both in 8/8. What are the remaining 3? Kobe said his favorite moment was when he was drafted. 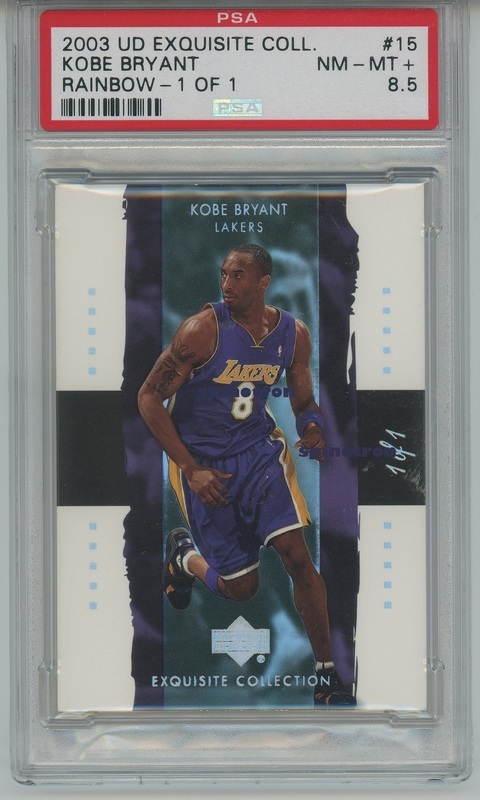 This is probably the only card dedicated to it and only Kobe card numbered /13. The auto is so fresh. 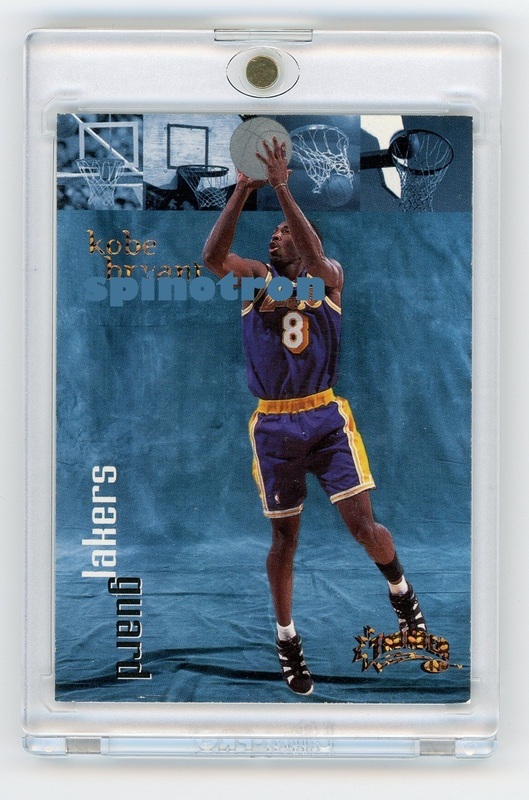 Please bear with me, LOL, 7 for finals appearances and 7+13 for being Lakers. The last two are easy to guess. It cannot get any better. 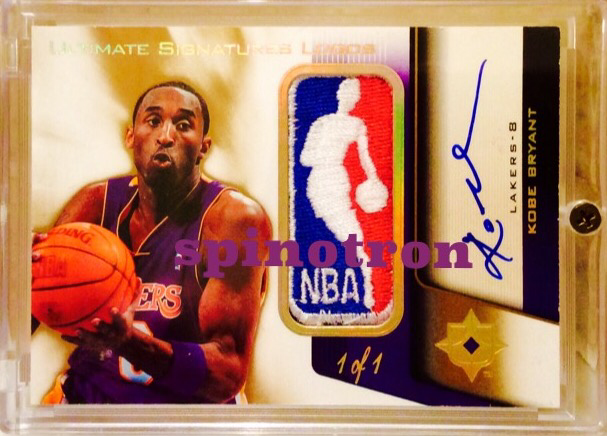 To date, the only two Kobe special jersey logoman auto in existence. Threepeating Finals GU jersey and Minneapolis Throwback jersey. 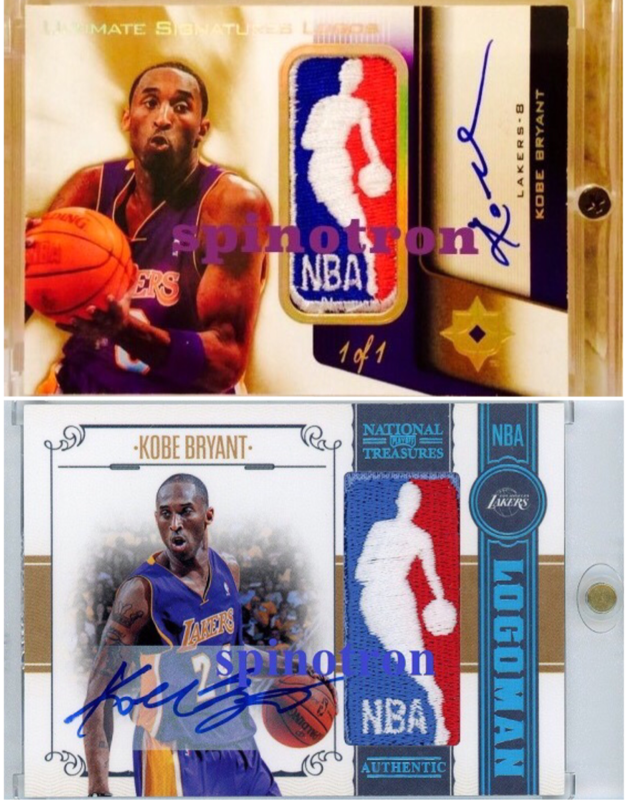 8 vs 24 Kobe and both two style of his signatures from these two eras. Lakers are debating which number to retire today. I say, why not both? The future young guys can always wear 3-digit number. I'm a card purist. Now show some pure cards. I will showcase eight Kobe historical 1/1. 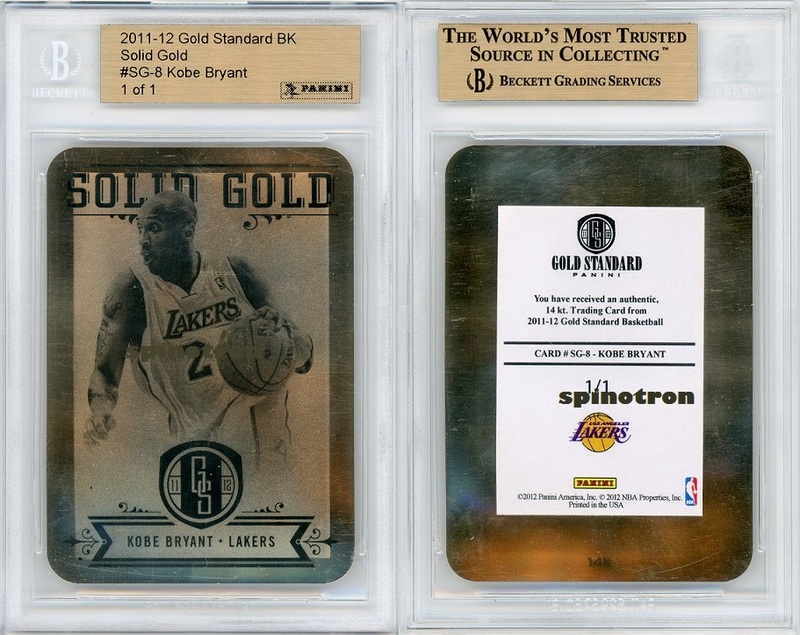 First Fleer/Skybox 1/1, First UD 1/1 (only card so), first Topps 1/1 (non-plates), and first high-end 1/1. What are the remaining four? 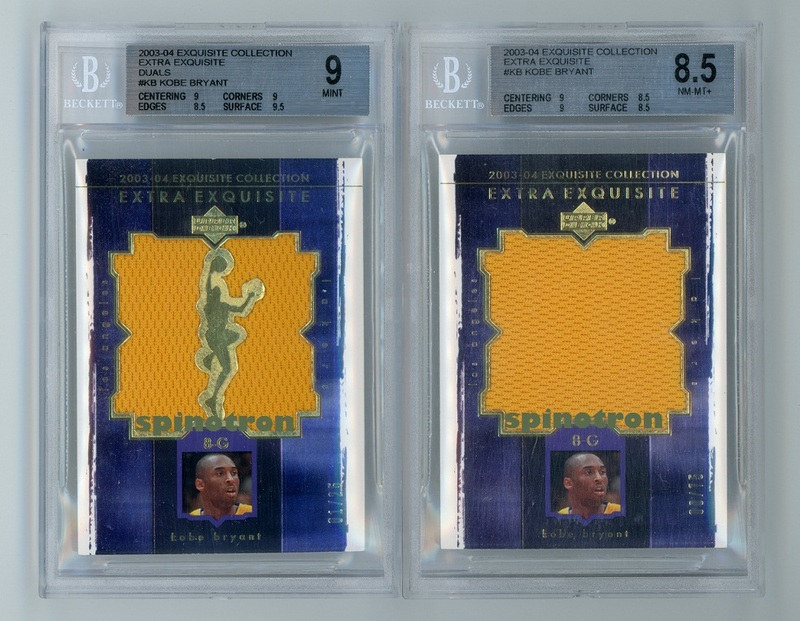 My 8th post in this sequence, which finishes up the 8 Kobe historical 1/1. 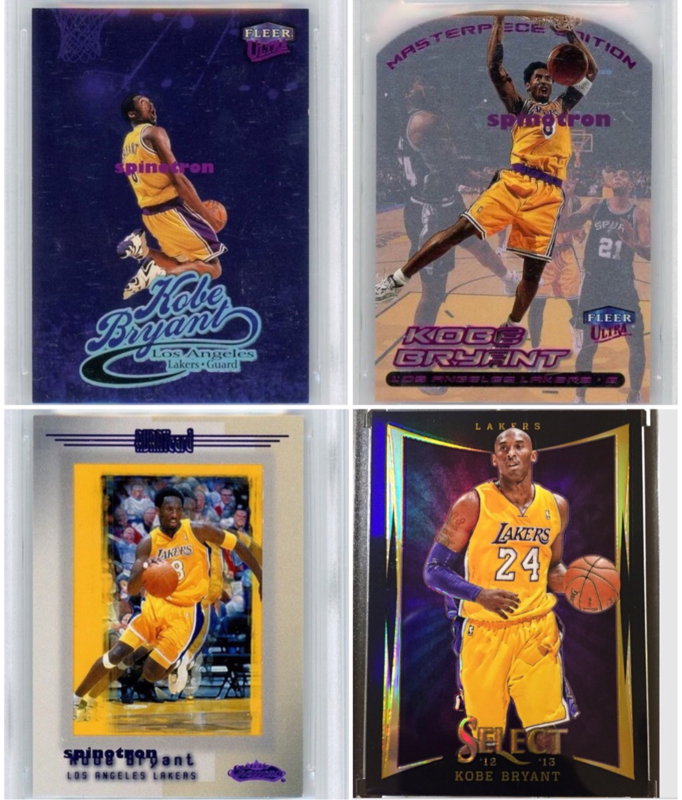 The first product-unique parallel 1/1, the first die-cut 1/1 for Kobe, the first year-unique 1/1 (his threepeat year, excluding plates), and his first Prizm-based 1/1. 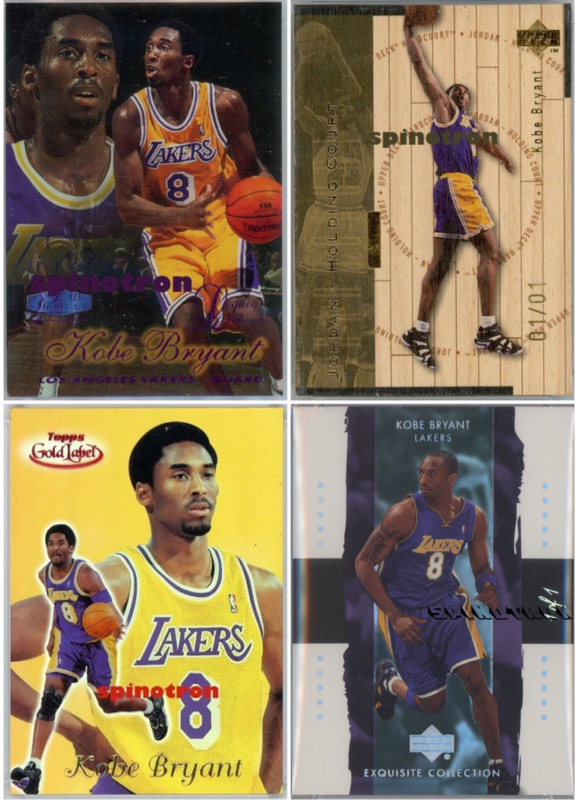 As a bonus to your scroll, I include a quadruple logoman auto pairing, all active players at the time of release, related to Kobe in obvious ways and you can read the connections by tapping each photo. 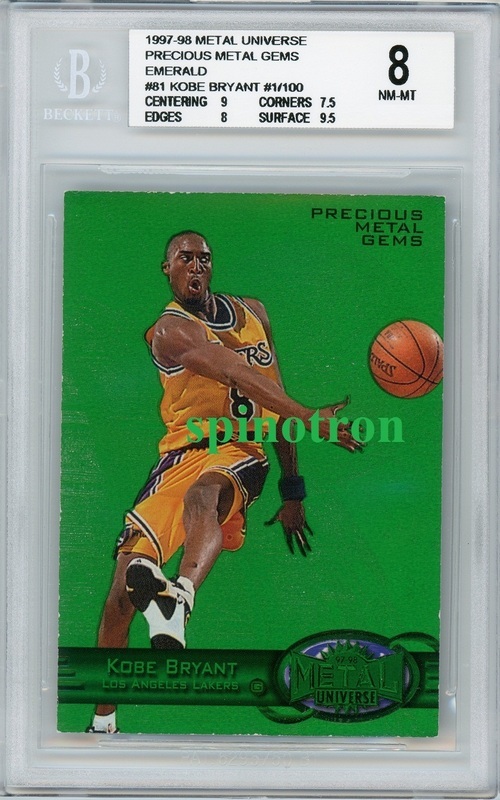 Kobe is my main PC guy, and this card, after realization that logoman is from 2002 Finals winning threepeat championship, to me is the best Kobe card hands down, despite me owning many other rarities. 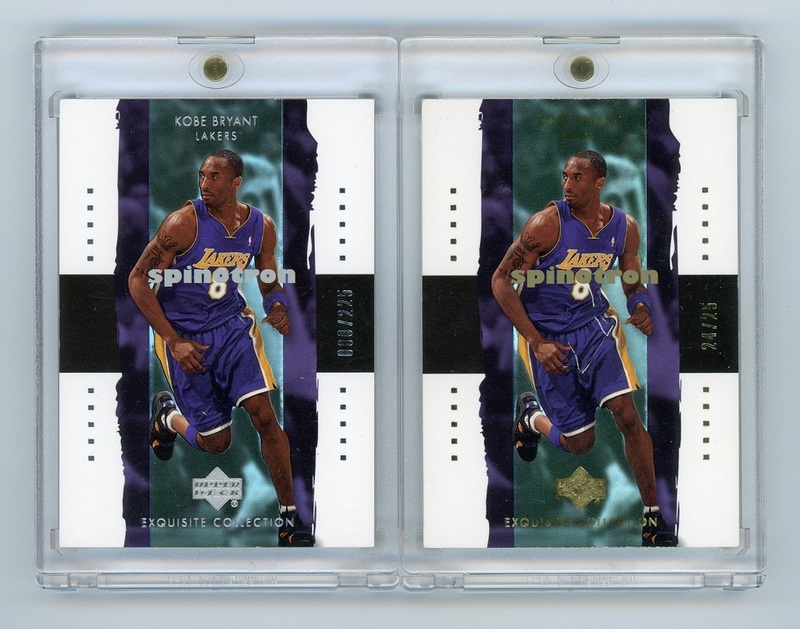 Jordan 97-98 UD Game Jersey Auto GJ13S 15/23 and 05-06 UD Reflections Mirror Image 1/2, the best Jordan autos in the respective decades. 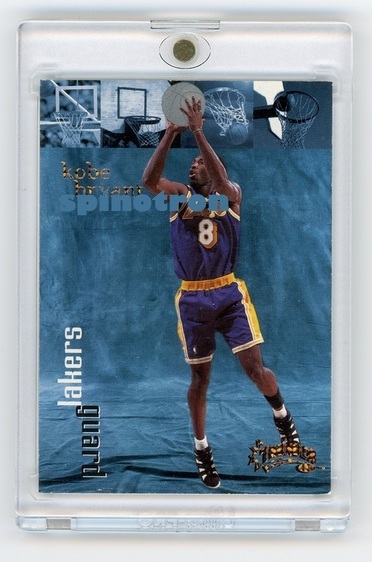 MJ GJ13S All stars jersey auto is the start of GU auto concept and the same card is shown on MJ tribute issue to represent this exclusive brand. 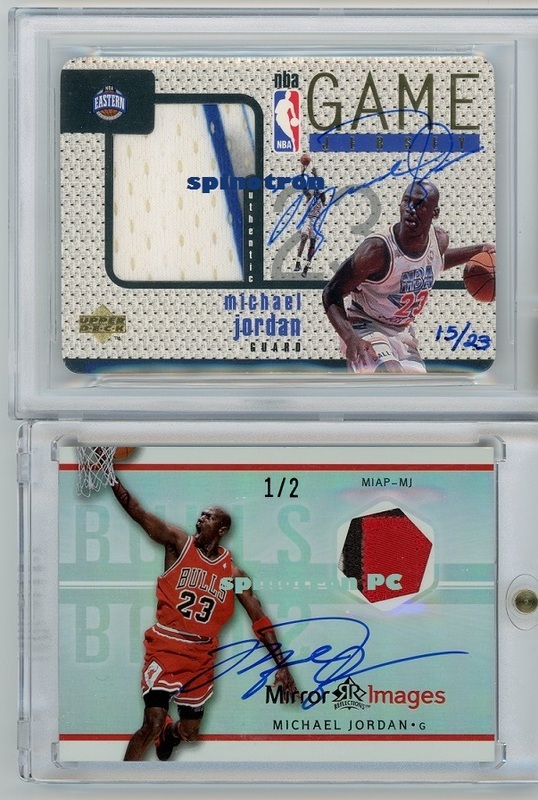 Mirror Image is a great concept and very rare and first MJ self dual auto card, this copy has perfect unbroken signature unlike 2/2. If you think you have cards that are better than some of the above, feel free to contact me, even if they are not for sale. 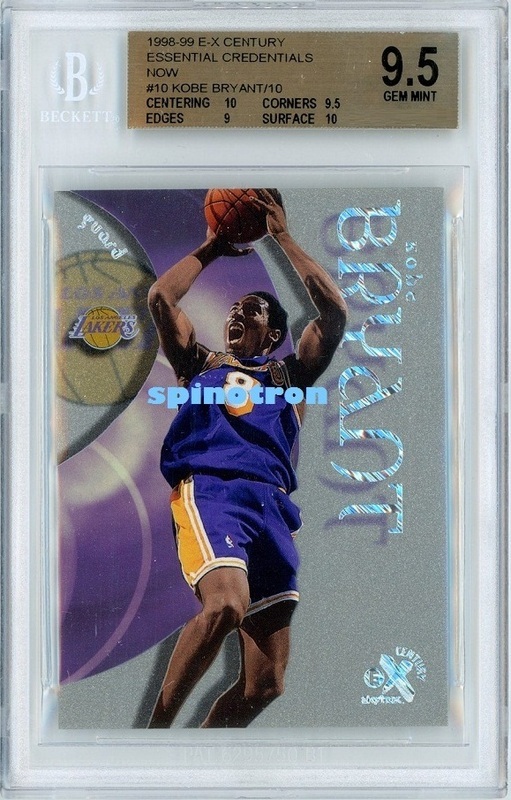 Always nice to talk to fellow Kobe collectors. Nothing on this page is for sale.